I’m not a football fan, and I couldn’t care less who wins the big game. So why will I be watching football come Super Bowl Sunday this year? Why, it’s because I’ll be watching Hallmark Channel’s Kitten Bowl! After years of having to wait for Animal Planet’s Kitten Halftime Show during their annual Puppy Bowl, cat lovers finally get their own event. In this feline showdown, there will be two preliminary playoffs and a championship match. Along with basic obstacle courses of hurdles, tunnels, hoops, jumps, weave poles, lasers, lures and toys on strings, “Kitten Bowl” will feature clever locker room strategies, player profiles and “interviews,” and camera work and audio recordings from the athletes as they play the game! The inaugural three-hour special event, in association with North Shore Animal League America, will be hosted by TV personality and activist Beth Stern, and emceed by John Sterling, the legendary radio voice of the New York Yankees. All of the 60-70 kittens participating in the competition are guaranteed forever homes through Hallmark Channel’s partnership with North Shore Animal League America. The event also hopes to significantly raise the awareness of the plight of shelter animals across the country. But you don’t have to wait until February 2 to get in on the fun. Visit the Hallmark Channel Kitten Bowl website to get to know the players, see more adorable photos, and best of all, watch the live kitten cam from the Kitten Bowl Training Camp! 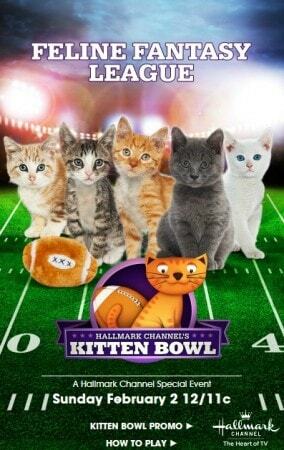 You can even create your own feline team on the Hallmark Channel Facebook page with the Feline Fantasy League app. Kitten Bowl is part of Hallmark Channel’s “Pet Project,” a multi-faceted initiative devoted to celebrating pets and the joy they bring to our lives. 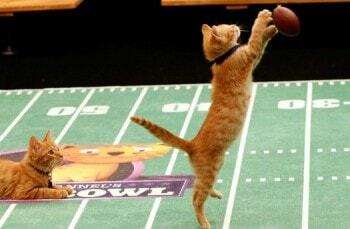 The Kitten Bowl will air on the Hallmark Channel on Sunday, February 2, 2014, at 12 Eastern/11 Central. Will you be watching? Where can I get some of those football cat toys they keep batting around? Hallmark, this is great! Now…this is reality TV! 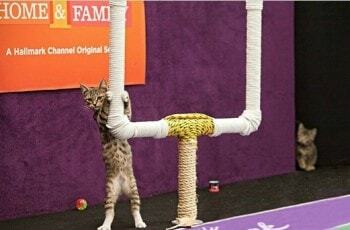 We need more of the Kitten Bowl! Would love to adopt, all of the 44 kittens. Also, thanks, to the North Shore Animal shelter, for doing a great job. And to all NO KILL SHELTERS! We need more of them. Yep! We’d watch it anyways cuz that’s where our mom works, but we think Kitten Bowl is far superior to Human Bowl (err, we mean superbowl). 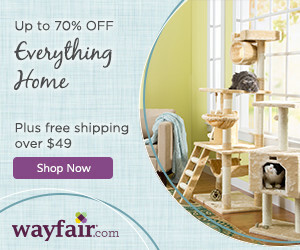 I am glad they finally have a kitten one for us cat lovers. I think that is great that the kitten bowl is helping the animals in shelters! I will try and remember to tune in. I think it will be a fun time. I am not interested in football, but I am interested in kittens! I am going to check out the website, etc. too. I’ll be watching! Squee kittens!